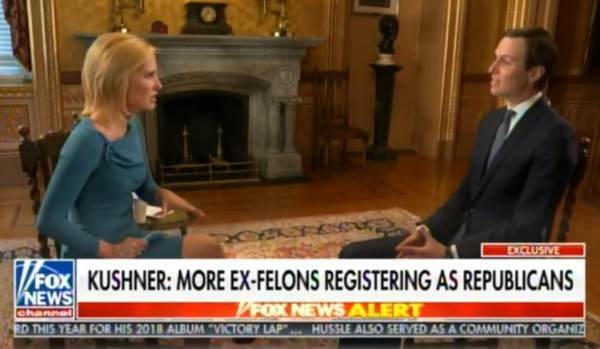 Florida, on Monday, President Trump’s son-in-law went on Fox News Channel and told Laura Ingraham that more ex-cons are registering as Republicans than Democrats in Florida since the new law passed allowing ex-cons to vote. Woah, woah, woah… You’ve had more ex-felons register as Republicans than Democrats? That’s the data that I’ve seen. I think that will surprise a lot of people. In all, if the trend continues, it could turn out to be one of the biggest back-fires in history, and could change the trajectory of Florida’s voting in a way that Democrats had not planned for, as Dems had hoped that the new law would pad their numbers in upcoming elections! In other words, THEY GOT TRUMPED!